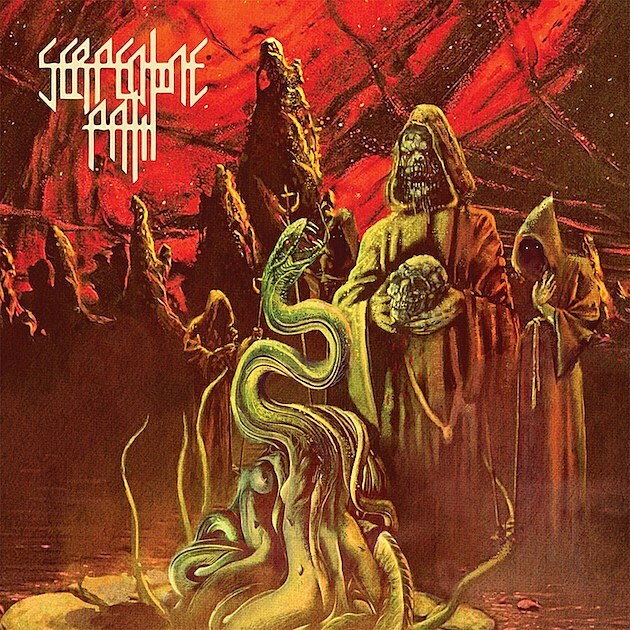 New York City’s Serpentine Path are often called a doom supergroup. Rightly so. Consisting of all three members of the dearly departed Unearthly Trance, along with ex-Electric Wizard/-Ramesses player Tim Bagshaw and Winter’s Stephen Flam, most wouldn’t argue with that assessment. Unearthly Trance and Winter are NYC-area gems; Electric Wizard requires no introduction. But, the past is the past. What of the present? Well, Serpentine Path meet CV-stoked expectations. A record like Emanations, with its war-march of big, thick, earth-groaning riffs, will appeal to fans of any of the aforementioned. That said, it will also earn new ones — this thing is a monster. “House of Worship” opens up Emanations, Serpentine Path’s follow up to their 2012 self-titled debut. The song smolders in the post-apocalyptic sense, with expertly arranged, no-nonsense riffing and restrained drumming giving rise to something bleak and sinister. The addition of Stephen Flam is a smart and natural one, as Emanations draws on a similar mid-tempo approach to Winter’s Into Darkness, where elements of death metal blended seamlessly with guitars coated in viscous sludge. It sounds killer in your headphones, but it gives you the feeling that it would be absolutely devastating live. With that in mind, we, in conjunction with Signature Riff, are very pleased to be presenting Serpentine Path with Churchburn, Throaat, and Dridge at The Acheron in Brooklyn on June 21. It’s a lineup to look forward to: Churchburn deliver some painfully crushing death/doom, NYC’s Throaat absolutely rip and sound goddamn insane, and Philadelphia’s Dridge play cavernous doom that packs a punch. Tickets are on sale now. Head over to the show’s event page for more info. Emanations is out on May 27th via Relapse Records and is available for preorder.